Sogrape is launching a new bottle design created by Stranger & Stranger for its Sandeman Aged Tawny Ports. 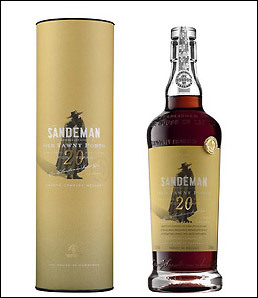 The new glass bottle is embossed and features a detailed label, adorned with the Sandeman cloaked figure, 'The Don', which was originally designed in 1928. A wax seal references its award-winning status. The new bottle allows for the different hues of age to be clearly seen by the consumer. Following research by Sogrape, the new look for the 10, 20, 30 and 40 year old Sandeman Tawny Ports takes a new approach to port packaging, with cues from vibrant and innovative luxury drinks categories. Bottles for the 20, 30 and 40 Year Old Tawny Ports feature the Vinolok glass bottle closure system. The bottle and closure were sourced from France, whilst remaining materials came from Portugal. The new Sandeman Aged Tawny Port packaging will soon be available in bars, restaurants, hotels and top retailers.